The Chrono Award 2010 was a competition among the most popular and most beautiful luxury watches, held by two leading economic magazines Trend and Format in Austria. The winners were announced during the official Chrono Award Gala in Vienna. The “success” category — chronograph watches priced up to $13,400 — had the largest number of nominations; the excitement and tension in this category was extra high. The flagship watch of the Fortis winter 2010/2011 collection was a big winner in this category. 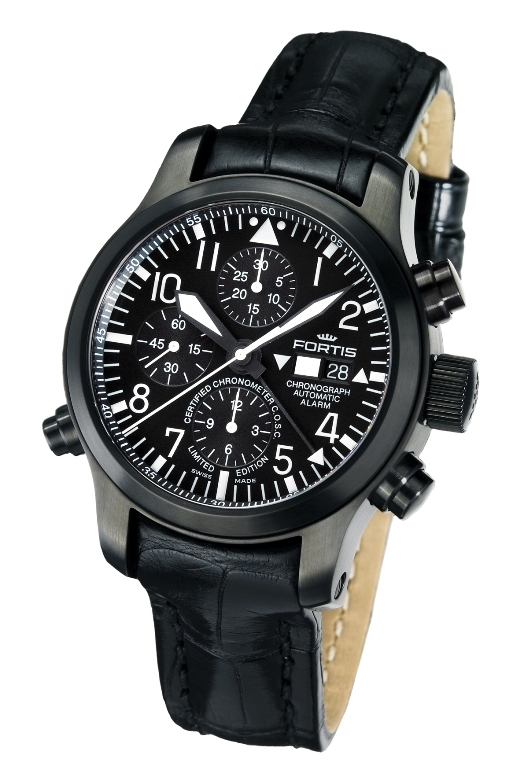 The Fortis B-42 Flieger Black Chronograph Alarm Automatic with the patented FORTIS Calibre F-2001-5 placed 2nd, behind IWC and ahead of Breitling, two leading luxury watch brands, based on the votes of readers.